It feels kind of silly to call yourself a winner when everybody that crosses that 50,000 word finish line is dubbed a winner. Still, I'll take it. It's been a long month. I managed to write the NaNo novel, keep up with my client deadlines and be there for my personal commitments. So yeah, even if there are hundreds of winners, I'll gladly wave the winner flag right alongside them. The National Novel Writing Month stats are interesting. That's a bunch of words! I bet some of them are even good. My own, however, are probably not. Not yet, at least. I'll fix all that during the rewrite. 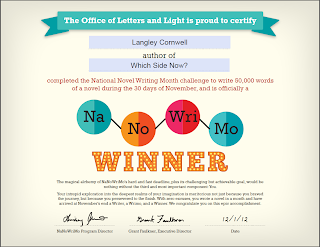 Coming up soon, I'm going to write a post about everything I learned by participating (nee, winning, haha) NaNoWriMo. Some of it is trivial and some is pretty profound. I just don't have to juice to write about it right now. I'm spent. In case you're wondering, yes. All in all, it was worth it. 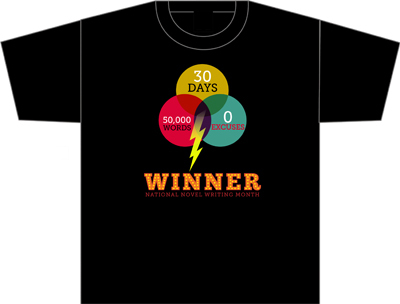 NaNoWriMo - Been there, done that, got the tee-shirt. Give yourself credit and a pat on the back! 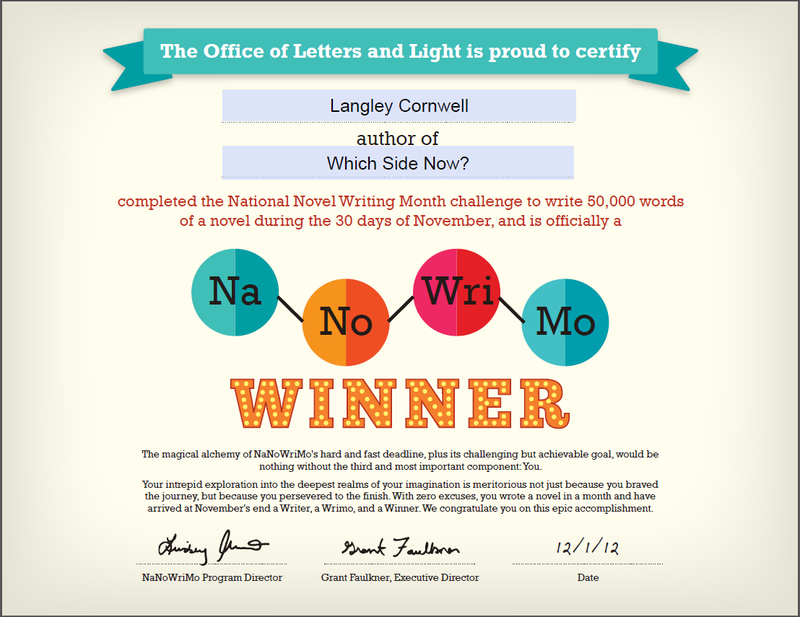 I'm a winner, too - and I'm very happy about it because I entered Nano this year to get going again and overcome a serious writers block. There is much to be learned from Nano. I'll look forward to hearing your nuggets of wisdom.